April 22, 2016, 9:44 a.m. 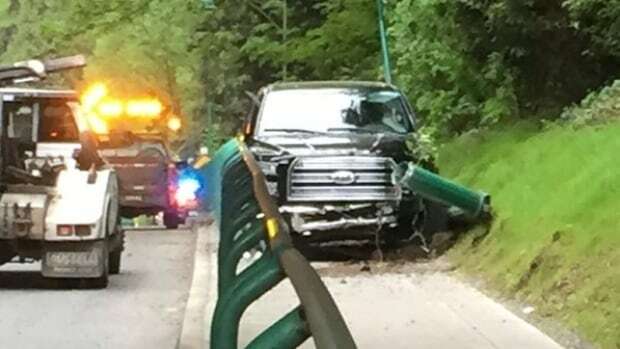 This happened yesterday on the Stanley Park Causeway. Truck crashed onto the bike path, going the wrong way. Seems nobody was hurt. Of course it was a cyclist's fault. Because drivers never exceed the speed limit, run stop signs, run red lights, fail to signal their intentions, cut people off etc. April 22, 2016, 9:45 a.m.
weird it wasnt a mustang..
April 22, 2016, 9:50 a.m.
April 22, 2016, 11:24 a.m.
April 22, 2016, 12:51 p.m. When I see pics like this I just think the person should automatically lose their license for at least a couple years. Insane. April 22, 2016, 3:14 p.m.
Its the West Side … Richmond is for low-class chump-change millionaires. April 22, 2016, 6:27 p.m. When I eventually crawled past that site at around 8:15, the traffic crews were only just starting to pull the truck away… the "accident" happened at least an hour and half prior to that (my boss drove past at around 6:45). 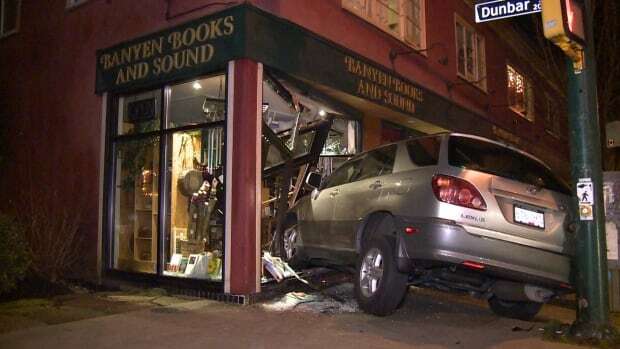 But, yeah, how the fook did a vehicle end up there….? April 22, 2016, 6:35 p.m. This could have been prevented if their was a vehicle registry, ask switch how well that works with inanimate objects; it's the object's fault now, embrace these times. April 22, 2016, 6:42 p.m.
April 22, 2016, 7:39 p.m. I passed that this morning as well. I can't believe he got across two Southbound lanes without hitting someone head on. April 22, 2016, 9:52 p.m.
More like stoned, or drunk or both. April 22, 2016, 10:19 p.m.
My creative imagination cannot explain this any which way. He was driving on the bike path? April 22, 2016, 11:54 p.m.
Because I embrace your 'logic'. I just can't get this hipster 'I'm offended' thing, even if you pretend to agree. April 23, 2016, 9:25 a.m.
That truck quite clearly isn't big enough. Only when people drive vehicles the size of oil tankers will the roads finally be safe. April 23, 2016, 2:55 p.m.
Second Narrows west side at the north end has the same flagging tape over the crushed brand new barrier. Lovely.